Weaving with beads isn’t has complicated as it looks. 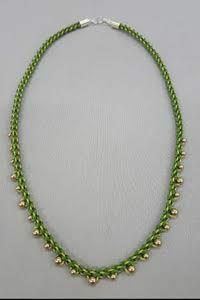 Peyote stitch is a versatile and often used seed bead weaving technique. Students will make beads by beading a rectangle, embellishing it if you choose, then folding and zipping it closed to make a tight and seamless tube. Samples of finished jewelry using peyote stitch will be available. 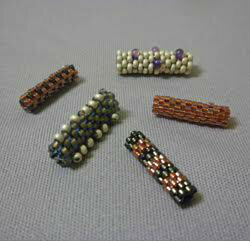 www.kirkwood.edu and go to Continuing Education and then search for Beadology Iowa under the instructor search. On site registrations will be taken if registration through Kirkwood meets minimum requirements of two participants. Instructor: Karen Kubby. $30 instructor fee/$30 materials fee. 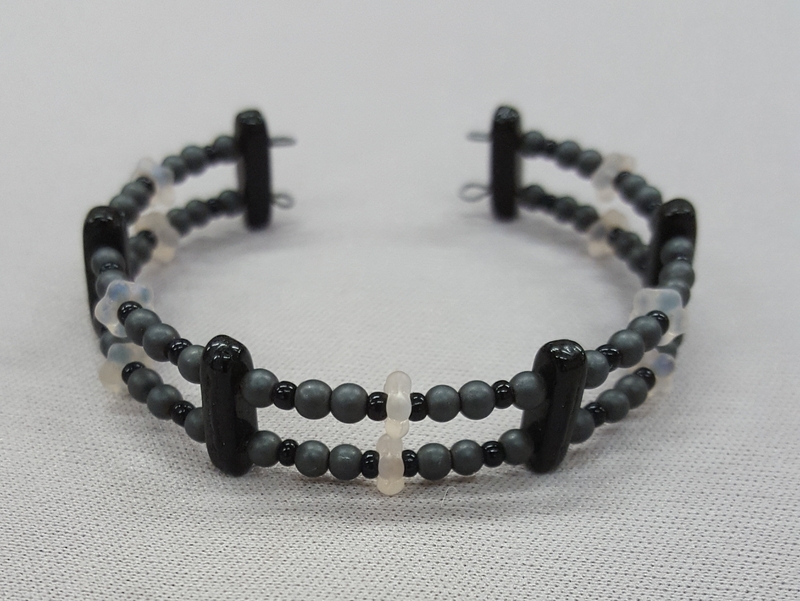 Join Master Beader and Beadology Iowa co-owner Laurel Kubby for 3 days of intensive and fun kumihimo braiding. Take one class or all three. This round braid has a huge advantage over kongo-gumi, the first braid that most people learn. It does not spiral. 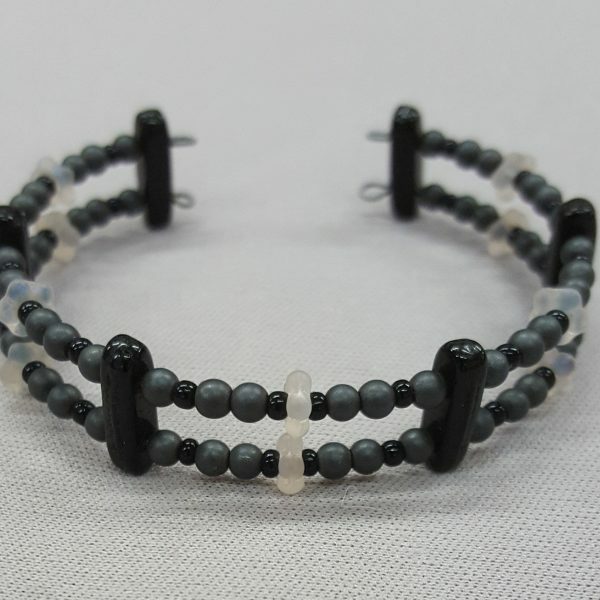 This allows you to have beads hang along one edge (or 2) without distortion. This is perfect for necklaces & bracelets. In this class, you will make a necklace with Swarovski pearls along one edge. This technique is suitable for beginners (with some experience) on the marudai & adventuresome, experienced beginners on the disc. Take one class for the price listed. Take two classes for 10% off. Take all three classes for $380—that’s 20% off. To get these discounts, you will need to call the store at 319 338-1566 to register over the phone with a credit card or come for a visit. 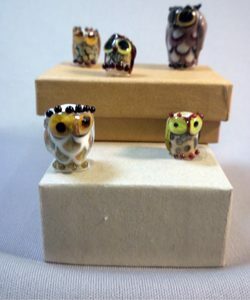 Glass Owl Beads: What a Hoot! Prerequisites: Make Glass Beads or equivalent. See class on Jan. 12. This class is for the advanced beginner/intermediate lampworker. Expand your skills by learning embellishment techniques to add wing patterns, ears, eyes, and beak to a core barrel bead to make your personalized owl.